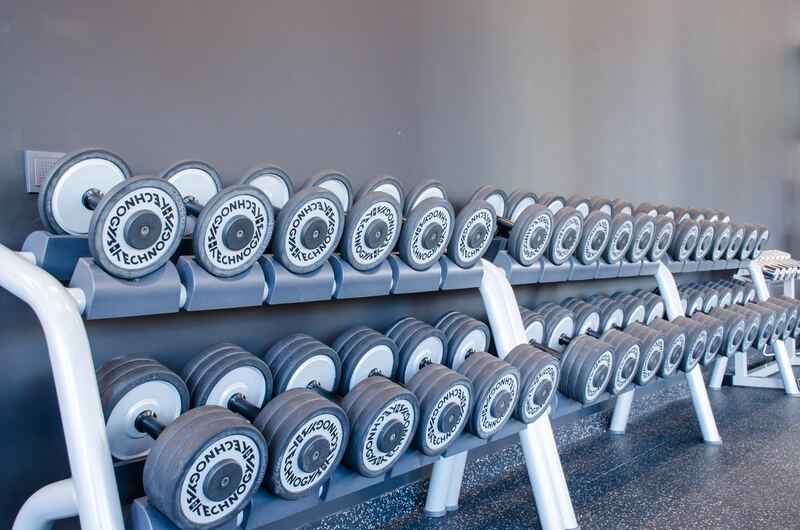 Gym in VODA club is the only place in the complex where you will not be able relax. 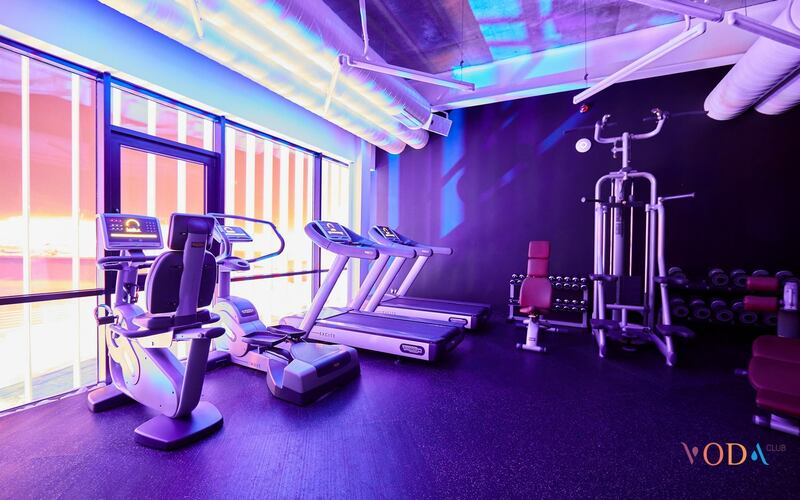 It is a recreational zone with vast panoramic windows and advanced professional cardio and power machines TechnoGym. Here, everything inspires to work hard at self-improvement! A significant difference of our equipment is a combination of innovative technology, superior design and high quality materials, biomechanics and anatomical components that keep your knee joints and spine healthy. Strengthens the muscles of the legs on a treadmill. Walking and running at different speeds helps burn fat and calories, tone muscles, joints and keep heart in great shape. Train your leg muscles in the legs and buttocks with Stepper. Independent moving foot platforms positioned to achieve the perfect balance and coordination. 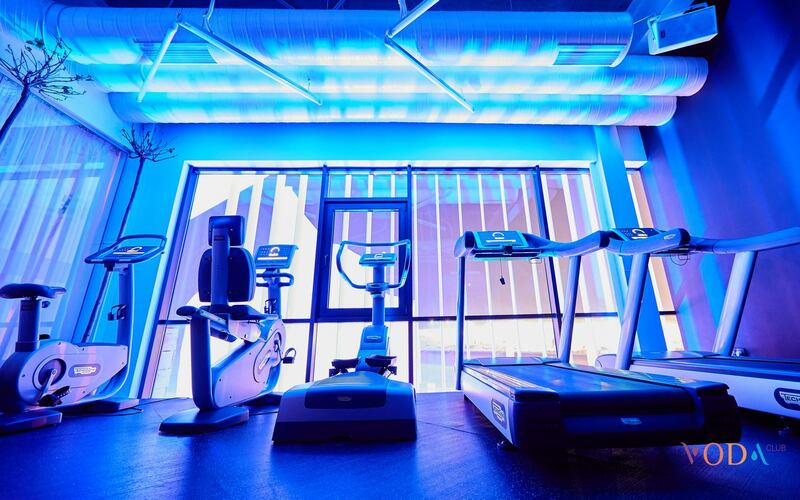 Be engaged in professional crossover Radiant, which helps to make the whole body workout in a compact environment. Its technical features allow a full range of exercise from a prone position to standing position. Get a charge of cheerfulness and good mood, while exercising on a bicycle path or lifting dumbbells. Moreover, at the end of training you can plunge into the warm pool. Ukrainian Otamans have trained here: boxing champions Olexandr Usik and Denis Berinchik and Olympic champion Yana Klochkova. Also, there are a lot of open training master classes happening conducted by leading Ukrainian coaches.